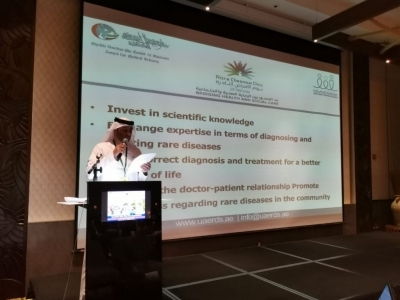 A number of recommended doctors and specialists in the field of clinical genetics participated in the Treatable Rare Disorders symposium, organized by the UAE Rare Diseases society in cooperation with the Sheikh Hamdan Bin Rashid Al Maktoum Award for Medical Sciences. H.H. Sheikh Hamdan bin Rashid Al Maktoum, Deputy Ruler of Dubai and Minister of Finance, today opened Gulfood 2019, the 24th edition of the world’s largest annual food and beverage trade show at Dubai World Trade Centre, DWTC. 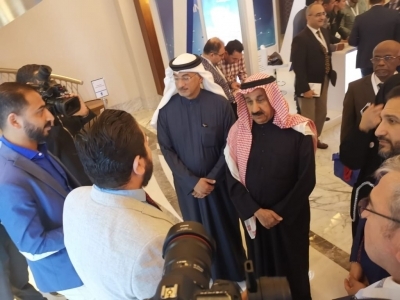 Dr. Ahmad Al Hashemi, Board Member of the Sheikh Hamdan Bin Rashid Al Maktoum Medical Sciences Award, launched the opening of the International Pediatric Summit yesterday. 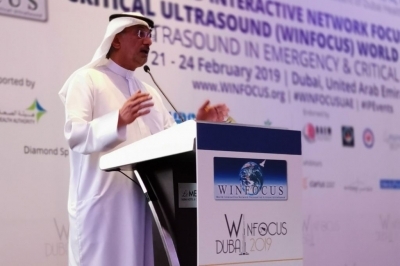 The summit is being held under the patronage of His Highness Sheikh Hamdan bin Rashid Al Maktoum, Deputy Ruler of Dubai, Minister of Finance and Chairman of the Dubai Health Authority and supported by the Sheikh Hamdan Bin Rashid Al Maktoum Award for Medical Sciences at Hilton Dubai - Habtoor City. Dubai-Feb2019: The Emirates Rare Diseases Society, in cooperation with the Sheikh Hamdan Bin Rashid Al Maktoum Award for Medical Sciences, is organizing a symposium on treatable rare diseases from the 15th to 16th February, at the Lapita Hotel, Dubai Parks and Resorts. In collaboration with the UAE Rare Disease Society, the Sheikh Hamdan bin Rashid Al Maktoum Award for Medical Sciences is organizing the Rare disease day competition for public and private schools in the UAE for the fourth consecutive year.